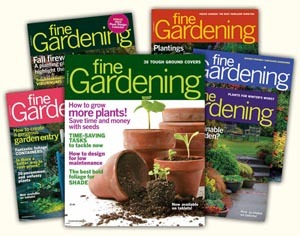 Join Seed Savers and get a one-year subscription to Fine Gardening magazine - all for one low price of $59.99. Save $10 with this limited-time offer. Click here to join. Join Seed Savers and get three issues of Grow - all for one low price of $55.00. This is 38% off the cover price. Click here to join. -Or- Click here to see our other membership offers. Seed Savers Exchange is a non-profit organization with a mission to conserve and promote America's culturally diverse but endangered garden and food crop heritage for future generations by collecting, growing, and sharing heirloom seeds and plants. We rely on membership to support our organization and to help sustain the diversity of heirlooms in our seed bank. Join the 13,000 other gardeners and seed savers who support our mission! Exerpt taken from "Garden Guardians" by Alyssa Gammelgaard and Bryce Kilker. Enrollment in the American Horticultural Society’s Reciprocal Admissions Program, offering free admission to botanical gardens, arboreta, and conservatories across the country. Show your support for pure seed and good food by becoming a Seed Savers Exchange member today.